A professional lightweight oil of versatile revitalising activity. It restores the skin its radiance, youthful firmness and even tone. 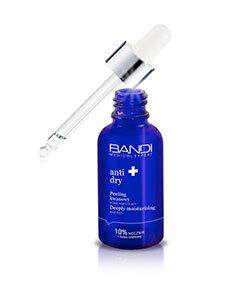 It also brightens discolourations and inhibits skin aging. A unique combination of the power of the bio-available vitamin C, vitamin A of plant origin and ferment oil extracted from angelica plant has strong antioxidant properties, prevents imperfections and protect the skin against the effects of environmental pollution. All skin types lacking radiance, hyper-pigmented and with uneven tone. Apply a small amount to the face, neck and the décolletage, avoiding the eye area. Use in the morning and/or evening independently or under a cream.